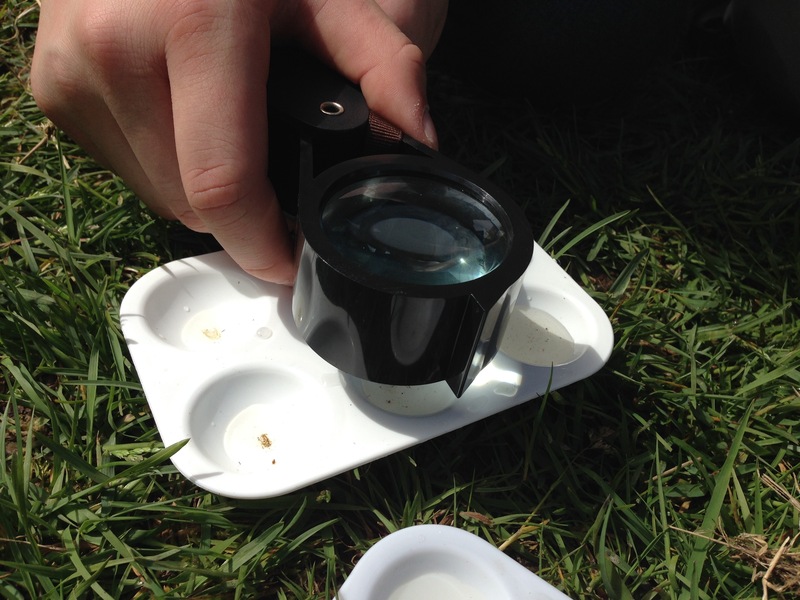 Collect pond life and observe closely with a magnifier, and microscopes if available. Identify what you can. 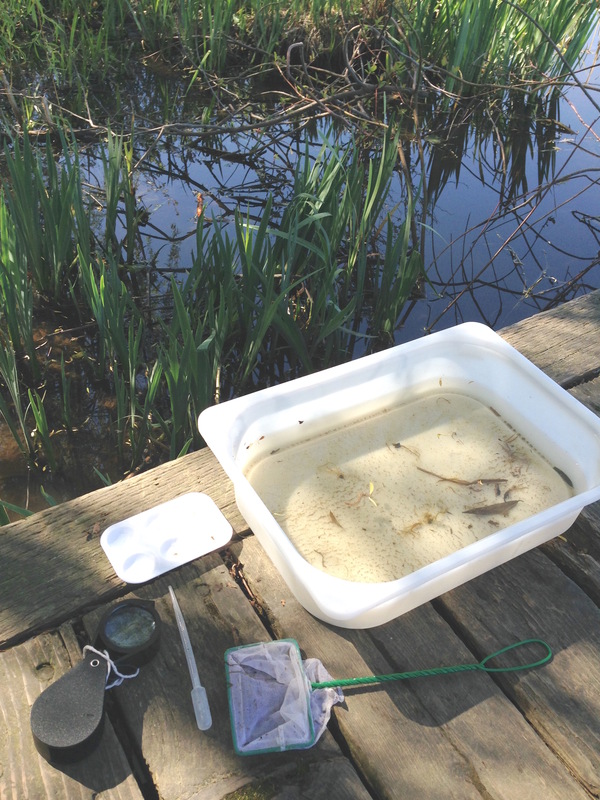 Pond water also can be studied in a tub in the classroom. Find a good collection site at the pond. 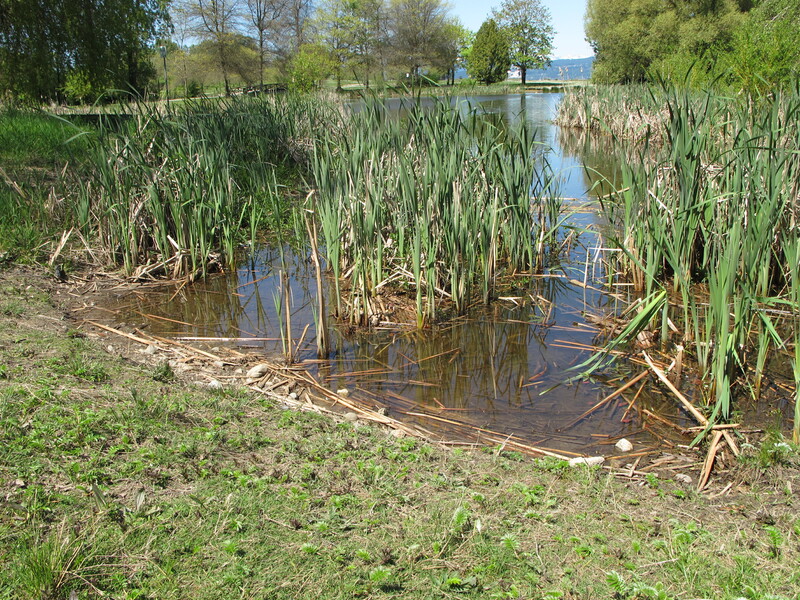 Around the base of plants, rather than open water, tends to be more fruitful. 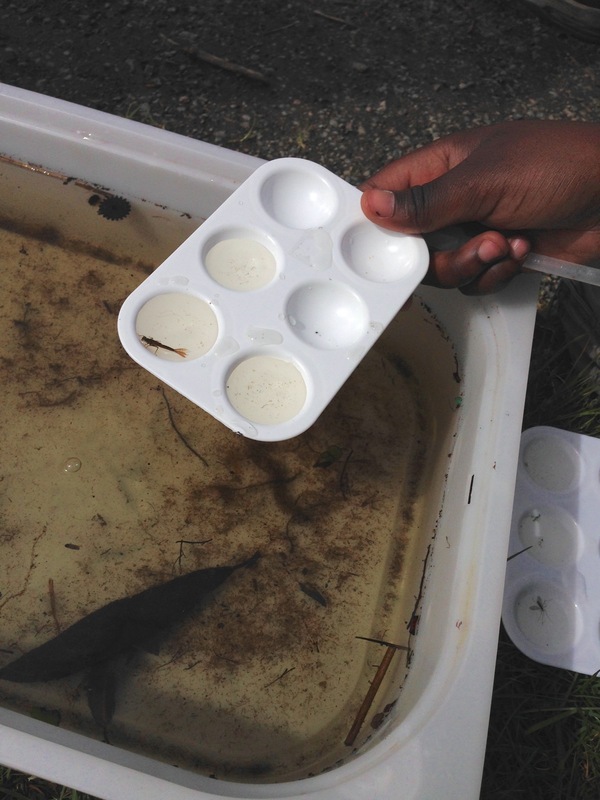 Fill a large tray with pond water for each student group. Using a fine net, students scoop from the pond or stream near to plants then invert the net into the large tray. 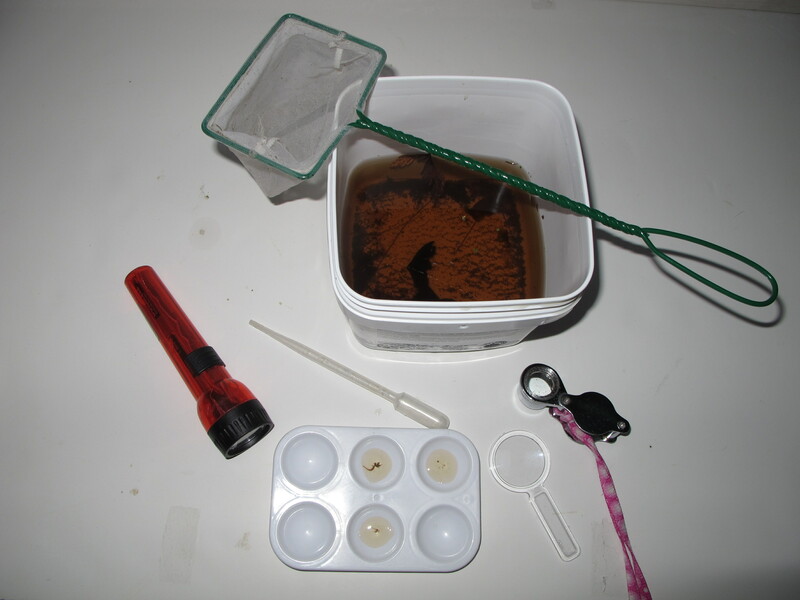 Alternatively, the teacher collects pond water samples and brings them into the classroom in white tubs (so that the contents can be seen easily). Students transfer organisms they find in the large tray to smaller trays with a pipette, then use the magnifiers to look at them closely. Students are assisted in identifying the pond invertebrates they find. For most species you will find: http://www.microscopy-uk.org.uk/index.html?http://www.microscopy-uk.org.... Make sure you click on "arthropods" as you'll find a lot of these, and then "other insect stages" for larger specimens. 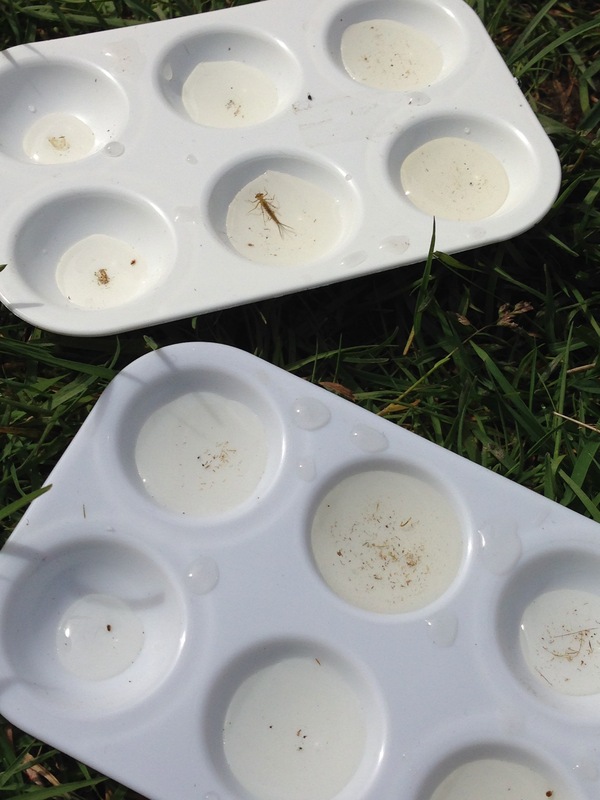 At Central Park pond, we identified Cyclops, freshwater shrimp, worms and Daphnia. 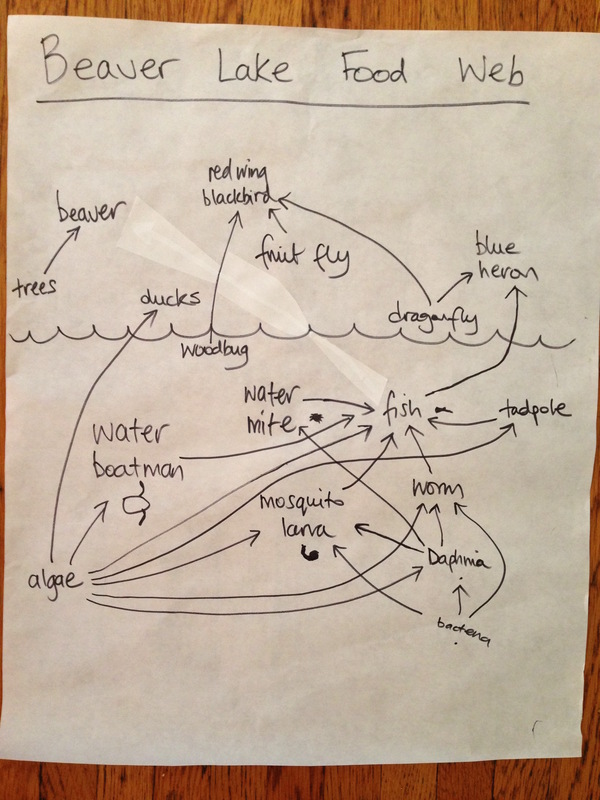 In our back yard pond we identified Daphnia, leeches, caddisfly larvae, cyclops, worms, and sometimes stentor. 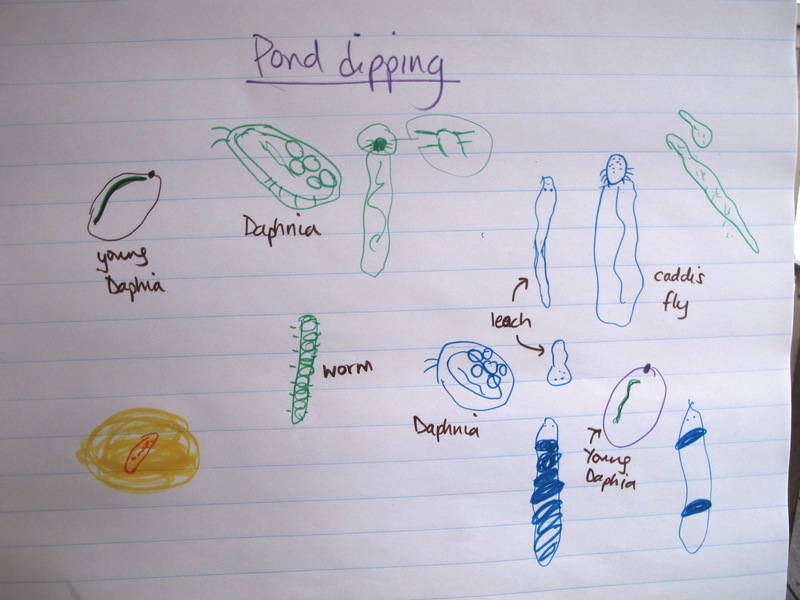 At Jericho we identified Daphnia, water beetles, water boatmen, worms and shrimp. At Trout Lake we found Daphnia, worms, mosquito larvae, water mites, mayfly nymphs or something similar. Water plants and seeds also caught may be identified. 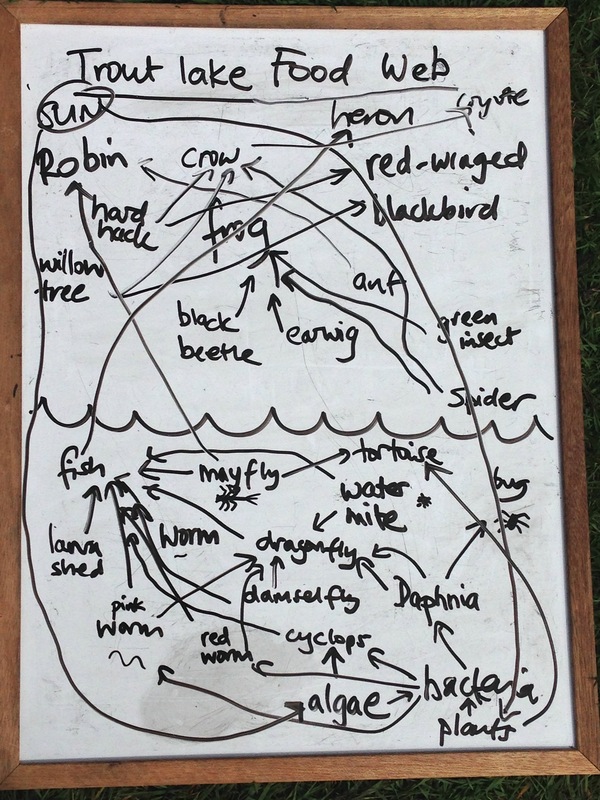 Gather as a group and add each organism found to a white board, then with discussion, link who eats who to form a food web. Add other animals and plants seen around the pond. Optional: play bird sounds for local birds. Add them to the food web. Also add microscopic bacteria and algae, to feed the bottom levels of the food chains.